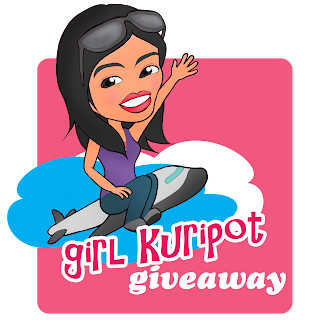 Girl Kuripot Girl Kuripot: Girl Kuripot Giveaway - Anywhere Philippines Travel GC and a Bonus GC! Welcome to another round of Girl Kuripot Giveaway! Girl Kuripot, in partnership with Anywhere Philippines, wants to spice things up with these 2 quick contests. Pick one or pick both! After our successful Valentines' treat, Anywhere Philippines is back with another treat for Girl Kuripot subscribers early this month. You'll surely love joining any of their weekend getaways. I want to introduce the official Anywhere Philippines website http://www.anywherephilippines.com and the official Anywhere Philippines Facebook fan page http://www.facebook.com/anywherephilippines. We will be giving away 2 items for these 2 contests - a P1000 Anywhere Philippines Travel GC and a P1000 The Spa GC. 1. Subscribe to Anywhere Philippines website by email. Make sure you verify the link in your email address. 2. Like the Anywhere Philippines Fan Page. 3. Comment below your email used to subscribe and your Facebook name, General Location. 1. Subscribe to Girl Kuripot by email. Make sure you verify the link in your email address. 2. Like the Girl Kuripot Fan Page. 3. Comment below your full name, email address, Facebook name and the statement - "I want that Anywhere Philippines GC! I will travel to (Anywhere Philippines Destination)." I want that Anywhere Philippines GC! I will travel to Mt. Pulag! 1. 2 Winners will be selected and announced on April 10, 2011 on Girl Kuripot. You can join both contests as long as you follow the mechanics correctly. 2. Contest duration: March 31, 2011 to April 8, 2011 11:59 p.m.
3. The Spa GC will be sent via courier to your address (must be the same location as your entry, Metro Manila addresses only) after winner confirms. The Anywhere Philippines GC will be sent via email after winner confirms. I want that Anywhere Philippines GC! I will travel to Sagada! I want that Anywhere Philippines GC! I will travel to Baguio! I want that Anywhere Philippines GC! I will travel to Boracay! I want that Anywhere Philippines GC! I will travel to Ilocos Norte! I want that Anywhere Philippines GC! I will travel to El Nido! I want that Anywhere Philippines GC! I will travel to Baler! I want that Anywhere Philippines GC! I will travel to Bantayan Island! I want that Anywhere Philippines GC! I will travel to (Anywhere Philippines Destination)." oops, I want that Anywhere Philippines GC! I will travel to Boracay. I want that Anywhere Philippines GC! I will travel to Ilocos! I want that Anywhere Philippines GC! I will travel to Caramoan! "I want that Anywhere Philippines GC! 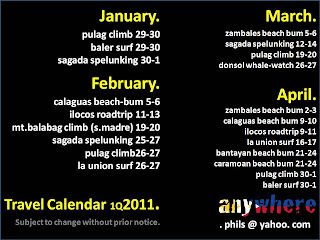 I will travel to Zambales." I want that Anywhere Philippines GC! 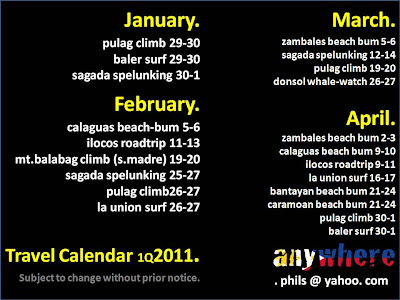 I will travel to Calaguas! "I want that Anywhere Philippines GC! I will travel to Bohol." I want that Anywhere Philippines GC! I will travel to Batanes. I want that Anywhere Philippines GC! I will travel to Caramoan Beach! "I want that Anywhere Philippines GC! I will travel to Bantayan Island"
"I want that Anywhere Philippines GC! I will travel to El Nido." "I want that Anywhere Philippines GC! I will travel to El Nido"
I want that Anywhere Philippines GC! I will travel to Caramoan Islands, Camarines Sur! "I want that Anywhere Philippines GC! I will travel to Coron, my dreamm destination." Pierre Angeli Suravilla, girl_behindpink@yahoo.com, Pierre Angeli Ardiente Suravilla, "I want that Anywhere Philippines GC! I will travel to La Union!." I want that Anywhere Philippines GC! I will travel to Apo Reef! Rosela Bumanglag, selai.bumanglag@Gmail.com, Rosela Bumanglag - "I want that Anywhere Philippines GC! I will travel to MT Apo." "I want that Anywhere Philippines GC! I will travel to CORON PALAWAN! "I want that Anywhere Philippines GC! I will travel to (Anywhere Philippines Destination)."